GreenBayHouseBuyer.com is a local business in the Green Bay Area of Wisconsin. We are the #1 homebuyer in the area. We sell homes fast, for quick cash. If you are looking to sell your house and make some fast cash in the process, look no further. We do fair deals; this means, we will never close on a house unless we feel the deal benefits both of us mutually. 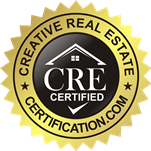 Our team of employees are highly competent in the real estate field. We know all the in’s and out’s of the business, so we can get the best value for your home. We will always maintain communication with you during this process. Selling a home can be stressful, but you don’t have to do it alone. Call us today or fill out the form located on our website. Give us a call at 920-362-1550 for more information.